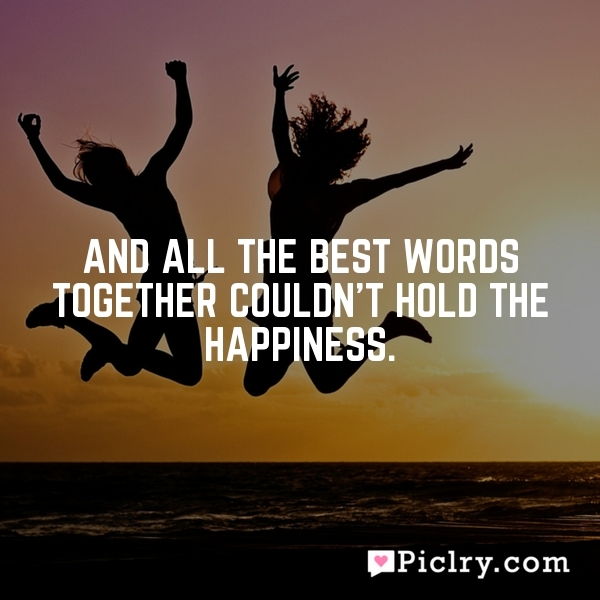 And all the best words together couldn't hold the happiness. And all the best words together couldn’t hold the happiness. The next time you feel really good, just keep feeling that way for the rest of your life.